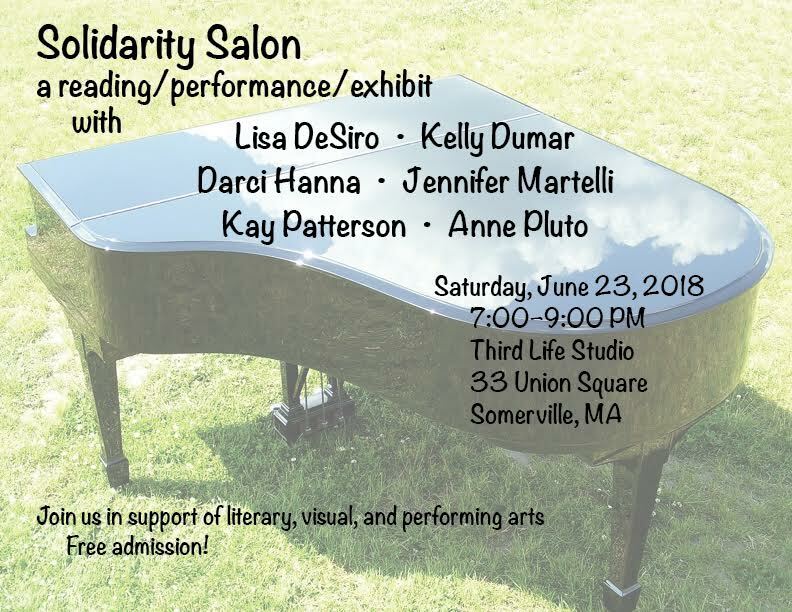 I'm honored to be included in this upcoming poetry and music event, hosted by poet Lisa DeSiro, on Jun 23 in Somerville. Please join us for a reading/performance/exhibit featuring six local women artists. Books and handmade creations will be available for purchase. Admission is free. Hope to see you there!